Let’s be honest. Did anyone REALLY understand the point of the hash key before Twitter came along? Check out this post to find out where the hashtag hung out before it became famous on the world’s favourite bird-themed social media platform. As marketers, it’s hard to remember a time we didn’t use the ‘#’ symbol to unify our social media worlds – chuckling to ourselves “hashtag blessed” after every Instagram selfie we take – but believe it or not, the hashtag has only been with us for a mere 10 years! 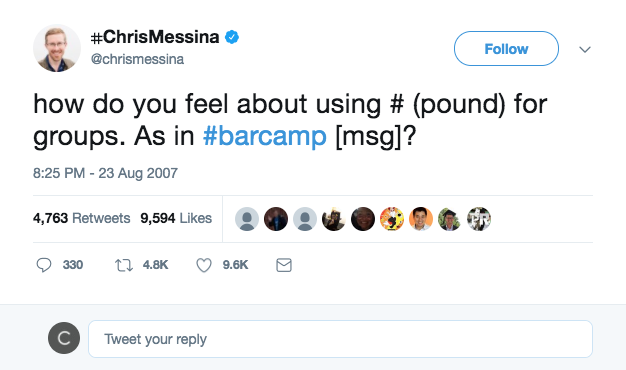 Back in August 2007, Chris Messina, then a product designer at Google, tweeted out the idea to stick a ‘pound’ sign (#, or ‘hash’ in British speak) in front of a word. A decade later, Twitter users alone generate 125 million hashtags a day, not counting the hashtags used on other social media sites such as Facebook and Instagram! The hashtag has completely changed the way we use the internet. It’s become a way to track trends and connect with groups on not just Twitter, but multiple other social media platforms too! A hashtag placed in front of a word on the platform turns them into a link that directs you to a more extensive conversation around that topic. This can be anything from events such as music festivals to sharing support for specific causes! It’s even made its way into our real-life vocabulary, with its very own entry in the Oxford Dictionary! Despite being a decade old, the hashtag still serves the purpose it was designed to. 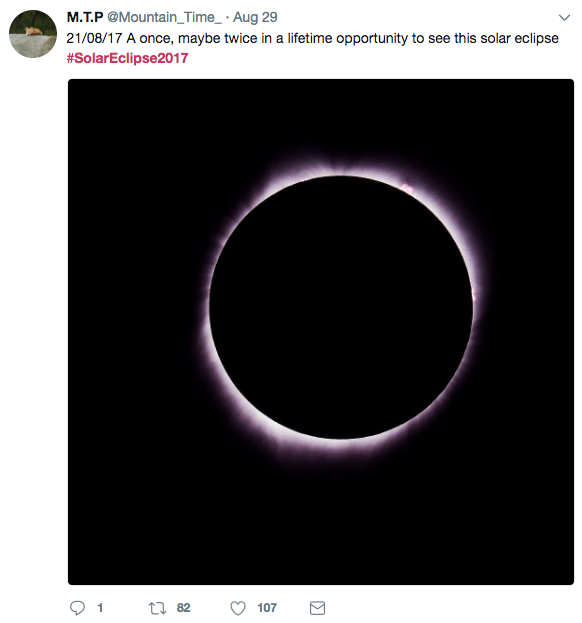 Take the Solar Eclipse for example – Millions of people watched it last month and shared their experiences with #SolarEclipse2017. The format was simple – someone had a bucket of icy water poured over their head. They then nominated people they know to undertake the same challenge. The stunt was typically intended to raise money and awareness for the Amyotrophic Lateral Sclerosis (ALS) Association, and millions of celebrities, organisations and the general public uploaded videos of their challenge on various social media sites using the hashtag: #IceBucketChallenge. From 29 July to 28 August 2014 ALS received $98.2m – compared with $2.7m donated during the same period the previous year. The ALS association’s website visits peaked at 4.5 million on 20 August 2014 compared to its average daily visits of 17,500. This is an incredible example of how the hashtag can help to raise awareness for charities and great causes! Even the CuCo team got involved, check out our challenge over on our Facebook page! Want more advice on managing your brands social media channels? Here at CuCo, our team have expertise in account handling for various client’s social media accounts in a wide range of diverse industries! Give us a call today on 01202 911959 or drop us a line at hello@cucocreative.co.uk – we’d love to chat about how we could help you and your brand succeed online!